Peninsula Mines (ASX: PSM) announced on Wednesday that it had signed a non-binding offtake and development cooperation Memorandum of Understanding (MOU) with Korean expandable graphite producer, Graphene Korea Co Ltd.
As a company with graphite exploration projects in South Korea, this is an important step for Peninsula Mines (ASX:PSM). 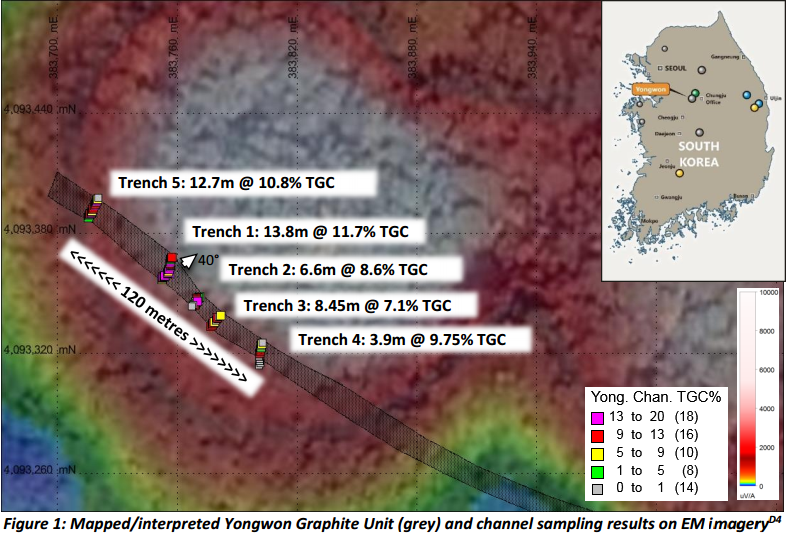 Large to jumbo sized flake graphite has been identified at PSM’s Yongwon Graphite Project, and the associated high grade channel sampling results have provided management with a significant degree of confidence regarding the prospect of producing high purity concentrate from this source. The Daewon Graphite Project is PSM’s other asset. Highly oriented graphite flakes have been identified, and while initial metallurgical flotation results are encouraging, final results will be reported shortly. In addition, tenement applications have been made over several new flake-graphite projects in Korea, where previous government survey work identified flake crystalline graphite. Rock chip sampling is in progress on several of these projects and results and more details will be provided when available. However, it is an early stage of PSM’s development and if considering this stock for your portfolio you should take all public information into account and seek professional financial advice. Under the terms of the Memorandum of Understanding, PSM and Graphene Korea will work together to identify projects that can potentially produce flake-graphite concentrate that will meet the specifications for production of Graphene Korea’s expandable graphite product. Metallurgical samples from selected projects will be provided to Graphene Korea for test-work at their pilot facility south-west of Seoul and, based on positive results, projects will be prioritised for drilling and development. In highlighting the significance of the MOU, PSM’s Managing Director, Mr Jon Dugdale, said, “This agreement represents a significant milestone for the Company, in securing the first offtake and development cooperation MOU signed with a high-technology focused Korean graphite end-user”. In particular, Dugdale highlighted the fact that the MOU fits very well with PSM’s strategy to establish relationships with Korean graphite end-users and investors, allowing the company to prioritise development of projects that have the metallurgical characteristics that meet the end-user’s required specifications. 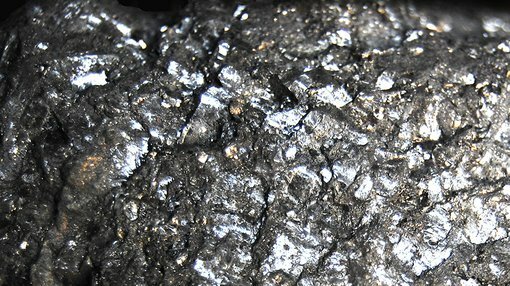 In order to facilitate the development of selected graphite projects, PSM is establishing a new subsidiary, Korea Graphite Co., Ltd. (“Korea Graphite”), that will house the company’s graphite projects, seek Korean investment to advance those projects, and potentially source suitable concentrate for end-users such as Graphene Korea. This will make PSM’s graphite business a much cleaner and more attractive investment proposition, as it will be unaffected by the company’s investments in other precious and base metal projects in South Korea. Importantly, Graphene Korea is close to commissioning an expandable graphite products processing facility near Eumseong in Korea, approximately 20 kilometres to the west of PSM’s Yongwon Flake-Graphite Project. Expandable graphite is processed to produce heat resistant, very light weight, non-toxic building materials and insulation products that will enable the Korean building products industry to meet increasingly stringent fire safety codes for foam insulation panels, fillers and coatings. The product utilises flake-graphite concentrate with certain metallurgical characteristics such as expandability, and Graphene Korea will have initial demand for approximately 20,000 tonnes of flake-graphite concentrate per annum. Graphene Korea is also planning to establish a second processing facility to produce other products, including graphene, for new technological applications requiring superconductors.